Louise Bernice Halfe – Sky Dancer was raised on Saddle Lake Reserve and attended Blue Quills Residential School. Louise is married and has two adult children and three grandsons. She served as Saskatchewan's Poet Laureate for two years. She has served as "keynote speaker" at numerous conferences. 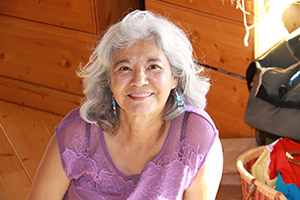 Her books, Bear Bones and Feathers, Blue Marrow and The Crooked Good, published by Coteau Books, have all received numerous accolades and awards. Her most recent publication, Burning in this Midnight Dream, was released on April 2, 2016. Louise was also awarded an honourary degree from Wilfred Laurier University. 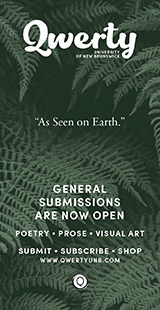 Click here to submit your entry to the Long Poem Prize. 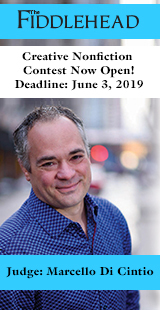 Thank you for taking the time to talk with me about your own poetic practice and the Malahat's Long Poem Prize on the horizon. 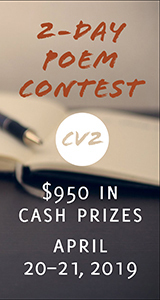 First I would like to ask, what esthetics you're looking for in the winning long poem? I am looking for emotionality without being informed. I should be feeling something. I am looking for a narrative story line. I am looking for song with breath, not something I am going to trip over as I read. I am looking for realism, honesty and integrity. I want to be enlightened, not lost with sophisticated BS. A long poem can seem like quite a challenge for poets, as they are often the condensers of language. Do you feel narrative plays a larger role in a long poem versus a "regular" length poem? And why? Yes, narrative plays a larger role in a long poem, though a regular poem also contains some elements of narrative. A story or narrative explores voices, landscape, and some sense of destination. It builds and has a momentum that explores the story line, whether it's tragic or has a moral story ending. One thing I love in your newest book of poetry, Burning in this Midnight Dream, is how potently rooted in the "I" the poems are. And it is an "I" which is unapologetic and unflinchingly moving towards the epicentre of the speakers' trauma and grief. I often find in writing first person that I fear being exclusionary, or that I am limiting myself. Do you have advice for writers who are also writing in first person, and how to navigate the confessional first person poem, as well as how to carry the "I" throughout a larger piece of work? If you are limiting yourself in the "I" then that is a form of self-consciousness and censorship. There is no need to be "exclusionary," for there are ways to include "others" without pointing a finger to the person(s). There is a world out there with many characters, many situations and many dreams that one can incorporate in the "I" voice. The "I" doesn't have to be the personal but can be many people. In terms of your poetic writing process, how do you know when a poem is complete? My gut, my feet, my breath and my talking-out-loud voice tell me when the poem is done. If I find myself stumbling over my own work, I know it needs fixing. However, I too need a third listener and editor to help the process. Can you talk about the role the Cree language plays in your poems? When reading your work, I wondered if you compose first in Cree. 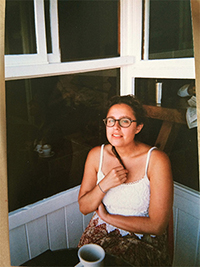 Is decolonizing language a part of your poetic practice? No, generally speaking I think in Cree, when I want "more" originality I switch to Cree. Cree is a very poetic and picture rich language, that to me is also the decolonizing of the English language. Is it part of my poetic practice? Yes. I am curious about your bookshelf. 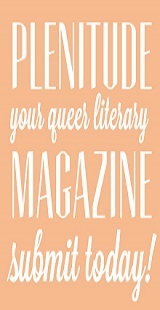 What poetry books have been companions for you throughout your writing life? Patrick Lane is my hero when it comes to writing, as well as the muscle verses of Tim Lilburn, and the spirituality and romanticism of Rumi, and Pablo Neruda's narrative poems. 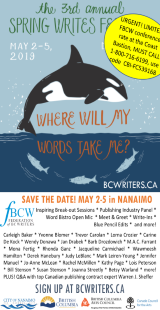 And lastly, are there any up-and-coming Indigenous poets that you would like to put on our radar? Gregory Scofield has been around for a while, he's not only a gifted writer and also a great reader. Neil McCloud is a poet, visual artist and educator, for sure keep him in your radar.